I've discovered a painful truth while sharing life with fellow men of the faith; prayer is a real struggle! As a husband, who, among other things, has been called to be the priest of my home, I've seen how this struggle can play out. Here's a shameless plug for the movie War Room. If you haven't seen it, do yourself a favor and do so! In the film, we see the power of prayer played out. In the film, we see an amazing wife praying for and covering her family, and especially her husband, as she's trained by an older woman. I want to play the devil's advocate here a little bit. Normally, when we think of praying, we link it to a praying mother or grandmother. It's an attribute commonly associated to women of the faith. What if men took prayer seriously? What if we committed to it like we commit to fantasy football or our golf swing? What if we were as into it as the release of the new retro Js? Although our Christian society has attributed prayer to great women of our faith, the bible gives us countless examples of men of prayer. Daniel was a man that prayed diligently. Even against the King's wishes, he set time apart to pray to the Lord. David, although a warrior in battle, was also one in prayer, and in a sense, journaled these prayers for us to read them. In James 5:17, Elijah is described as "a man with a nature like us" that prayed earnestly, and the Lord heard him. My brothers in the faith, our Father in heaven wants to hear from us! When men pray, things happen, and the Lord can move on our behalf. Don't be confused; prayer does not turn God into your magic genie. We don't pray to 'position' the Lord where we want him to be. We pray in order to position or reposition ourselves in order to receive what the Lord has for us. Scripture is replete, brothers, with examples of how prayer works. James, again, tells that the "Effective prayer of the righteous man can accomplish much." Our prayer can accomplish and help bring things to pass in our lives. What would happen if we as husbands and fathers began to pray over and with our wives and children? Earnestly seeking the Lord on their behalf and standing before God on their behalf the way that Christ stands for us. I think this is one of the biggest areas of improvement for me as a husband. Scripture tells me to love my wife as Christ loves the church. Christ is constantly interceding on our behalf. He's the ultimate advocate. And while he was on the earth, we see how he prayed for us. (John 17) You may be thinking, I know prayer works and that I should do it more often, but I don't know how to. This is one of the biggest objectives that comes up when talking about prayer with brothers. Here are a few tips on prayer that have helped a struggling praying man, like myself, do better in this particular discipline. Keep it simple - Many times when we think of prayer, we think of long drawn out deep outcries before the Lord. Not saying that prayer is never any of that, but it doesn't have to be that all the time. The heart behind the prayer is more important than the length or tone you pray in. We don't pray to impress the Lord or a spouse or anyone else we happen to be praying with. Keep it simple and have a conversation with the Lord. Another good tool for this is to remember the acronym ACTS when you pray. Adoration- express to the Lord how much you love and appreciate Him for who He is. Confession- if there is any known sin in your heart let the Lord know. Thanksgiving - give thanks for what He's already done for you. Supplication- earnestly ask the Lord to move in particular areas. Make it a habit - prayer is a discipline and something we should do on a regular basis. The saying is true, “Little prayer, little power. Much prayer, much power.” The film War Room, shows how consistent and diligent prayer not only changes our situation but changes us in the process. I'm currently doing a 30 day challenge through the ministry Family Life with my wife. It calls us to pray once a day together on different topics for 30 days. I wouldn't give myself an A in initiating since we've started. But I am seeing how being intentional about praying together is changing me and making me more aware of areas I need to improve upon. So, my dear brothers I challenge you to make prayer a priority! Single men, make time to pray in your day. Meet with other brothers to pray and cover each other. Husbands and fathers, let's take initiative to pray, not just for ourselves, but for our wives and/or children. Trust me brother, your wife and/or children would be thrilled to hear you pray before the Lord on their behalf. They may be secretly yearning for you to do that. I pray Lord that you would be with us as we look to speak with you more. That the Holy Spirit would put this burden on our hearts. I pray marriages, relationships, situations that seem ruined, working woes, closed doors, health issues and anything else needed will began to work itself out as we seek you earnestly. We thank you for the ability to come to the throne of grace boldly as your children. In Christ name I pray, Amen. 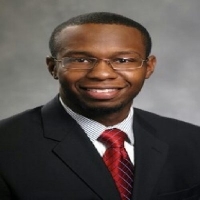 Travis Williams attended the University of North Florida where he earned two undergraduate degrees in Finance and Financial Services. He currently runs a financial services practice and has a strong conviction about Christians and their role in the marketplace. He married to his college sweet heart and best friend, Kristin Williams.